Trebetherick, North Cornwall. Sleeping 11. 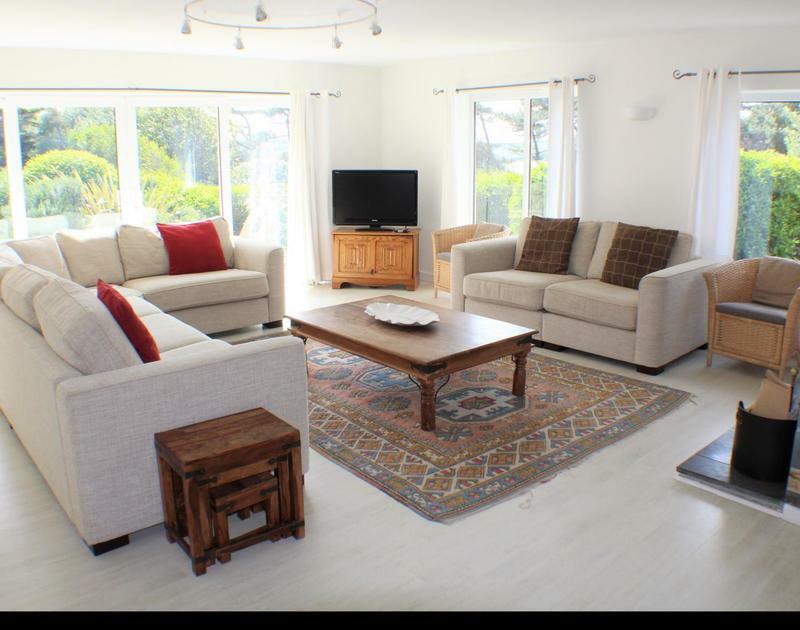 We understand that you may not be able to book a full week’s stay, so some of our properties offer flexible short breaks, subject to the owners discretion. 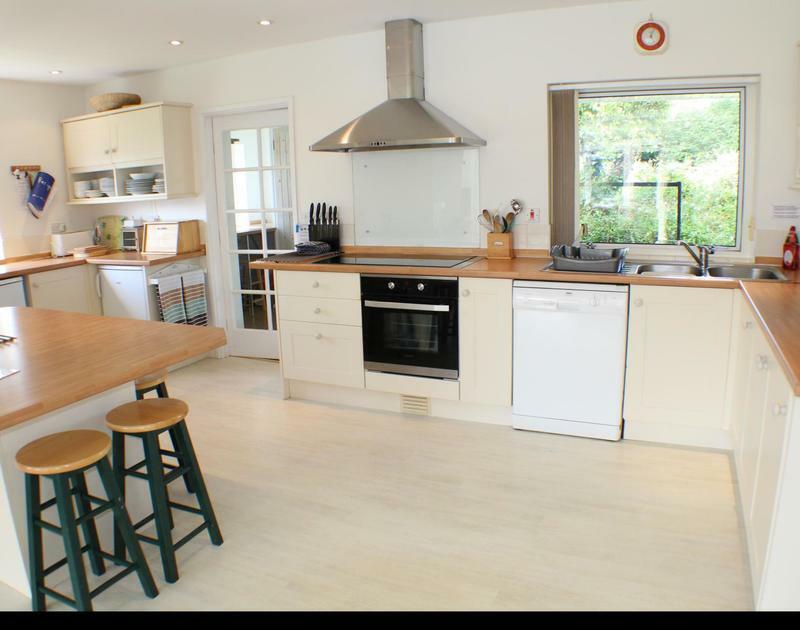 Situated just off Daymer lane in the popular area of Trebetherick. A updated double glazed detached house. 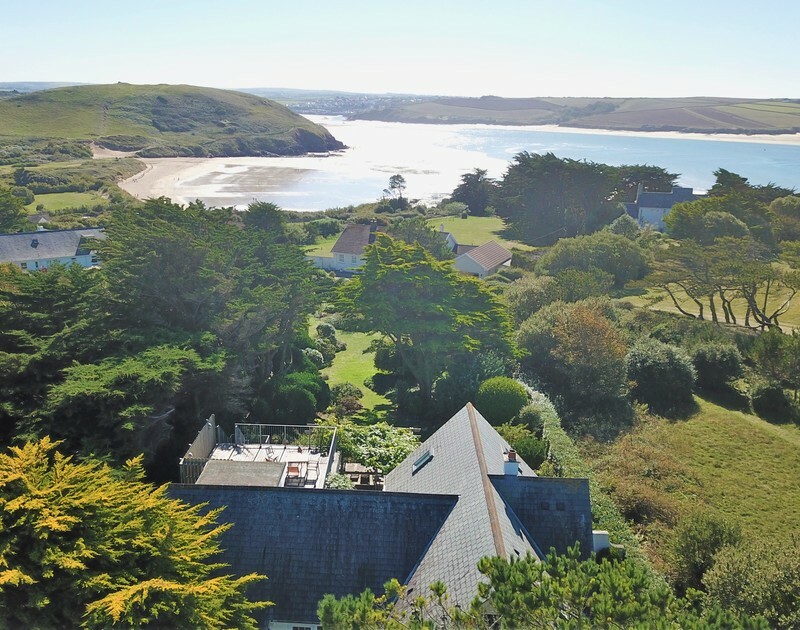 Skylarks is set in large gently sloping gardens with a delightful patio overlooking Daymer bay and the estuary and a further large balcony area at first floor level with lovely views. Skylarks is just under 650 meters to Daymer beach. Off street parking for five vehicles. New for 2019. 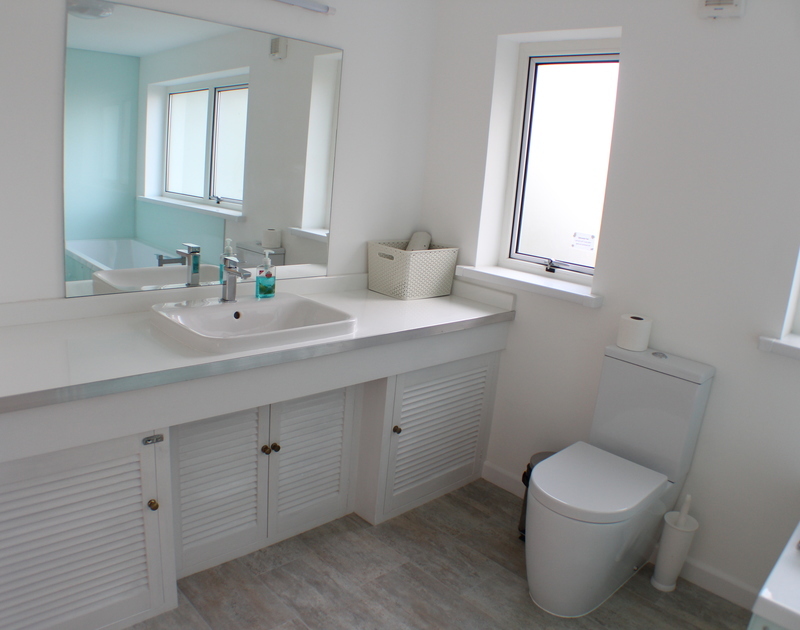 Main bathroom downstairs has been refurbished. The next house along from Skylarks `Puffins` is due to be demolished in October 2018 and rebuilt in 2019. There is a good hedge screening Puffins from Skylarks but there will undoubtably be some disturbance. 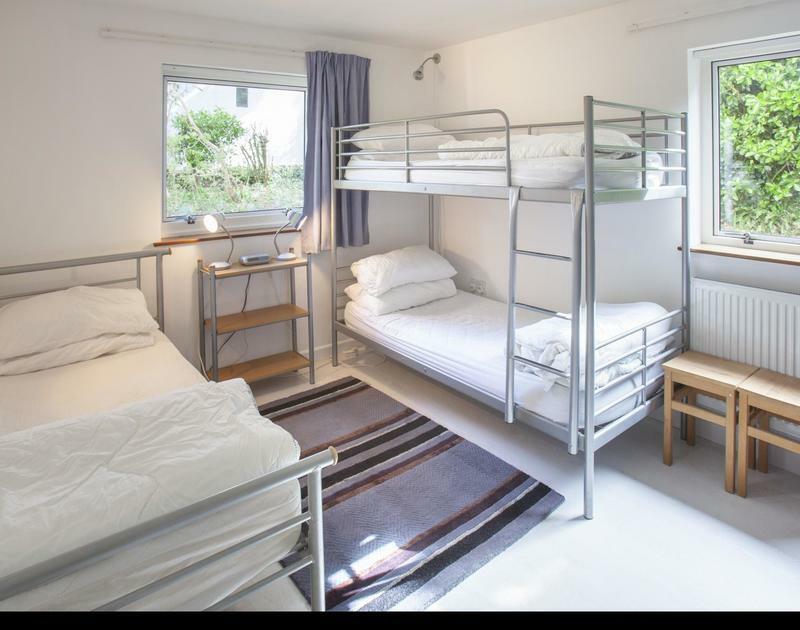 Bunk Room has bunk beds & 1 single bed. 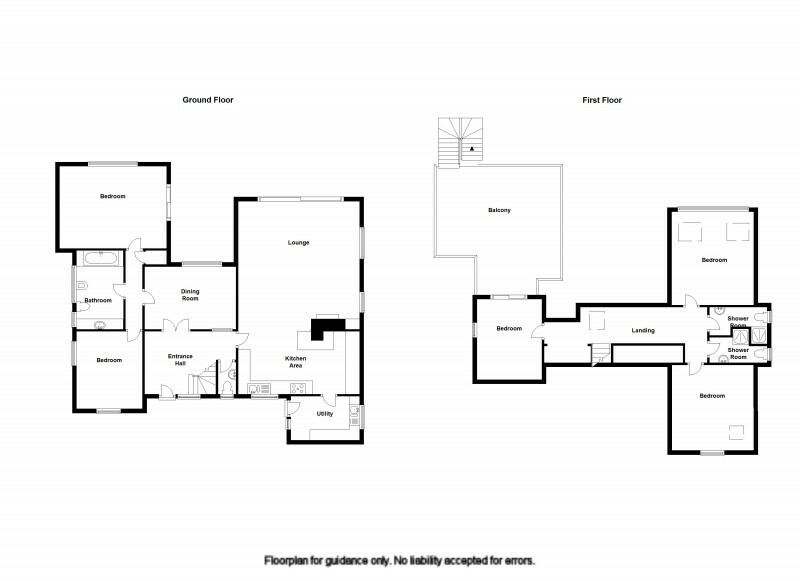 Ground floor: Entrance Hall, Large Open Plan Kitchen/Lounge opening onto patio, separate Dining Room, Utility Room. Separate wc. 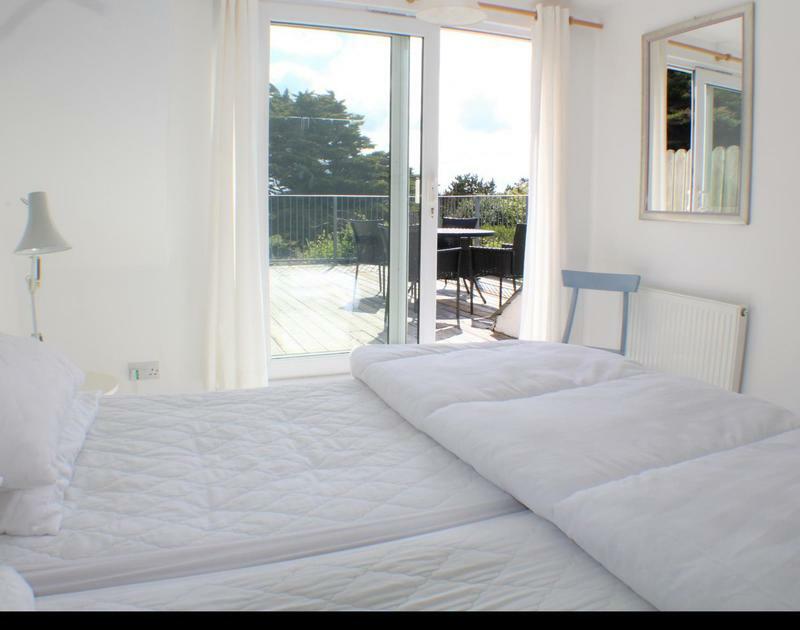 Bedroom 2: Bunk beds and a single bed. 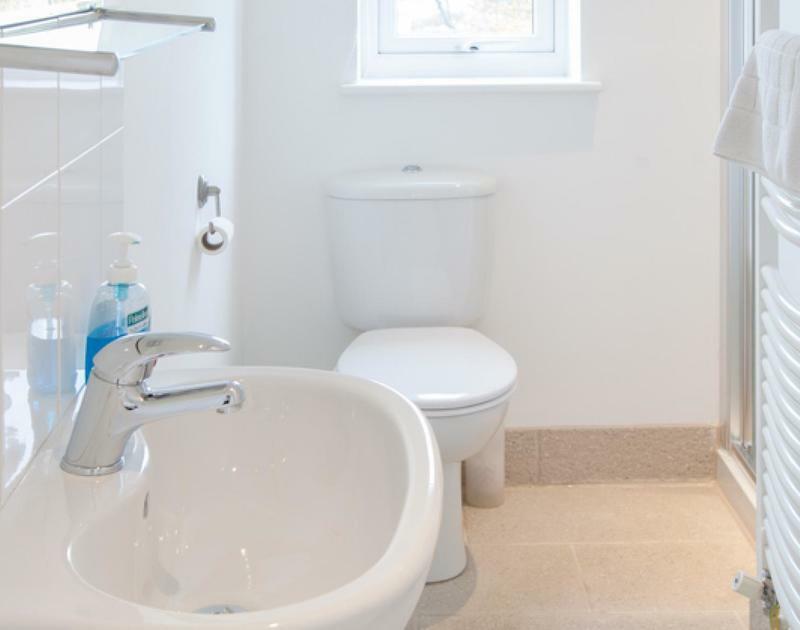 Family Bathroom - with wc, wash hand basin, bath with shower over. on the first floor: Bedroom 3: king size bed. 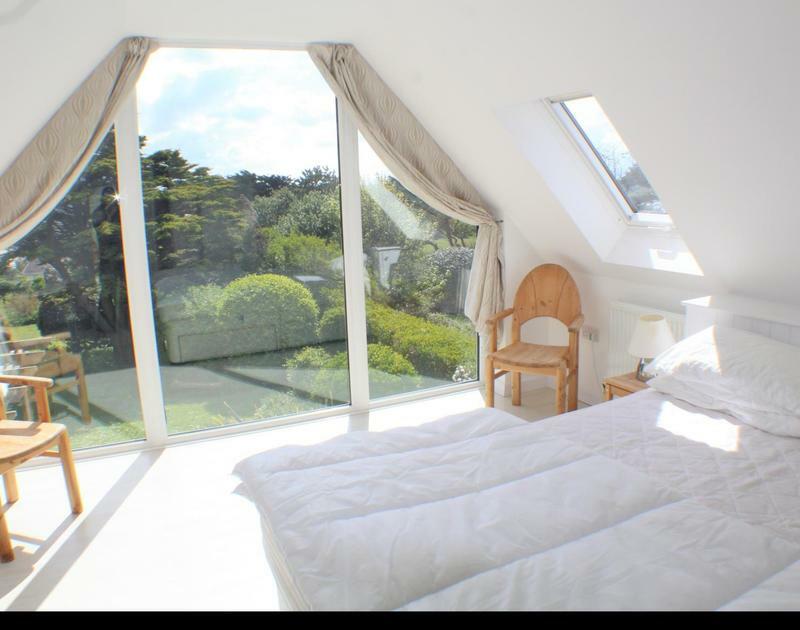 Room with floor to ceilling window to make the most of the beautiful views. 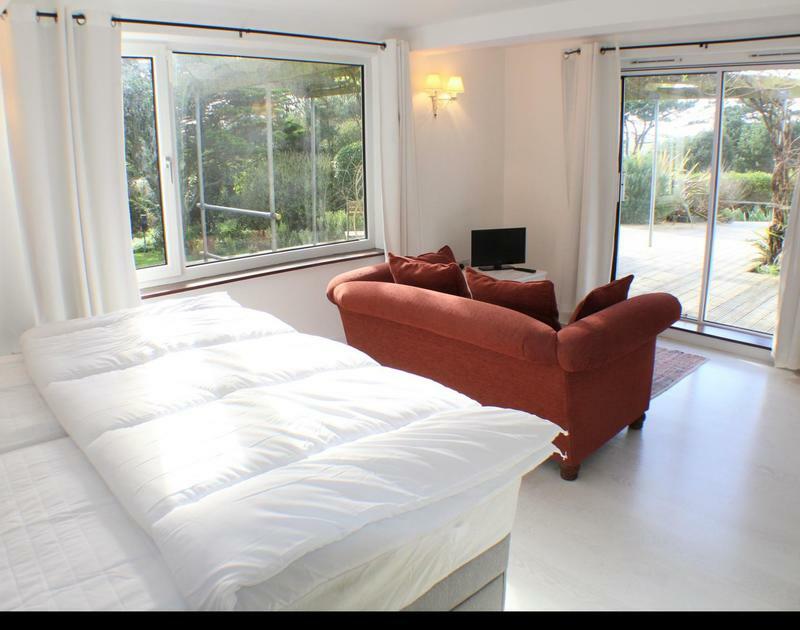 Bedroom 5: Twin beds Zip and link to make super king with access to large sun terrace with steps down to the garden. 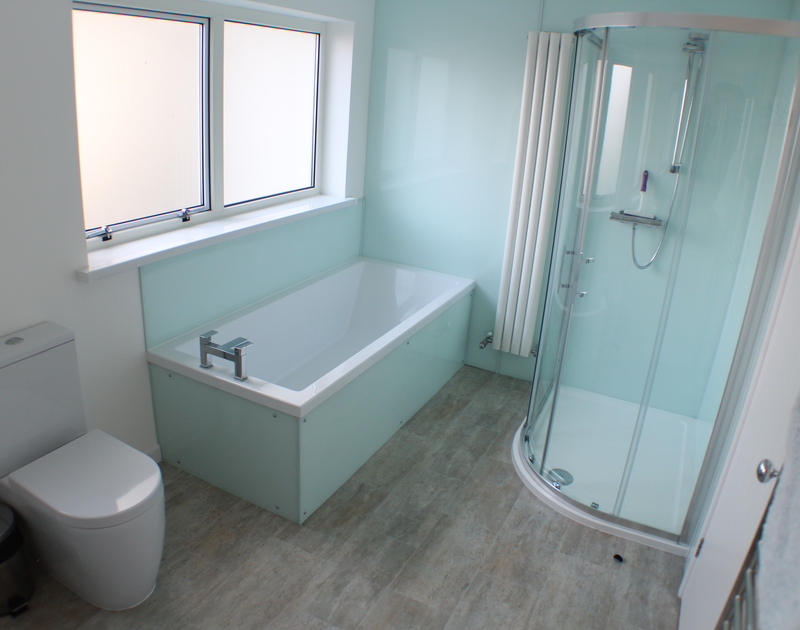 Two shower rooms with wc's. Garden - to the front of the property there is a lawned area and outside shower. the garage is used as a playroom with pool table. The rear garden is a good size with patio area for dining outside. there is a built in BBQ to the side of the patio area. the property is approached over an uneven private road which has several pot holes - low slung vehicles would find this difficult, a four wheel drive vehicle is preferable. There is a sloping gravel driveway to the property that leads down a sloping path to a front court yard. 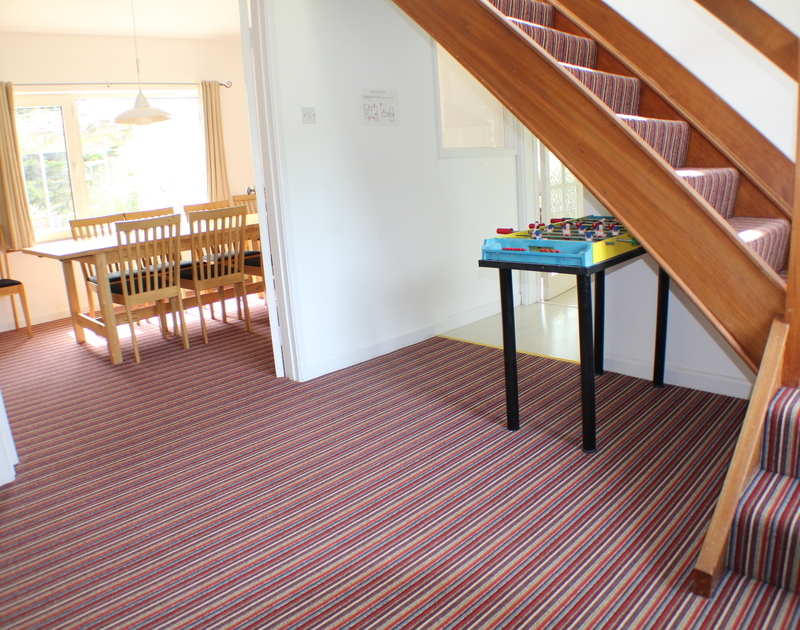 There are two steps up to both entrance doors and a path around the property that is too narrow for a wheel chair to approach the rear. We loved the house. Had a very enjoyable stay and the weather was very warm for April. 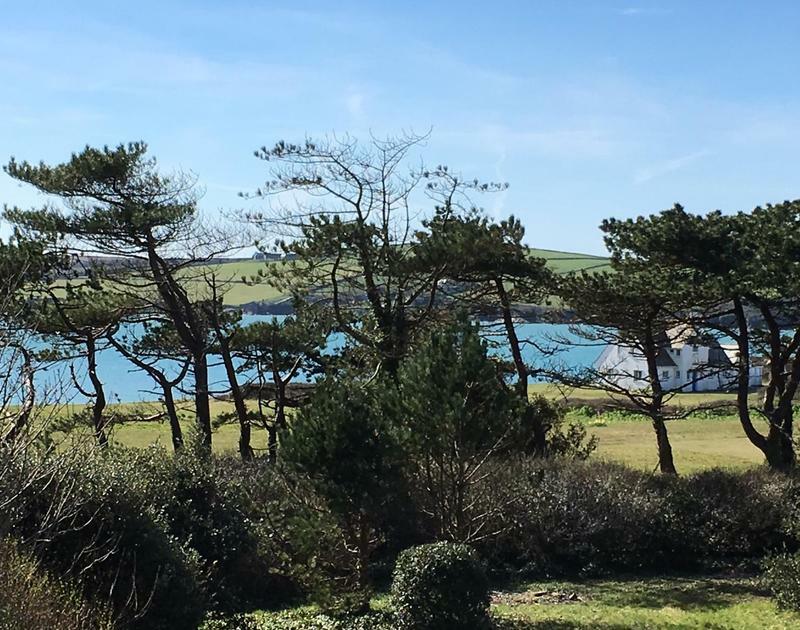 We will miss the lovely views from Skylarks. 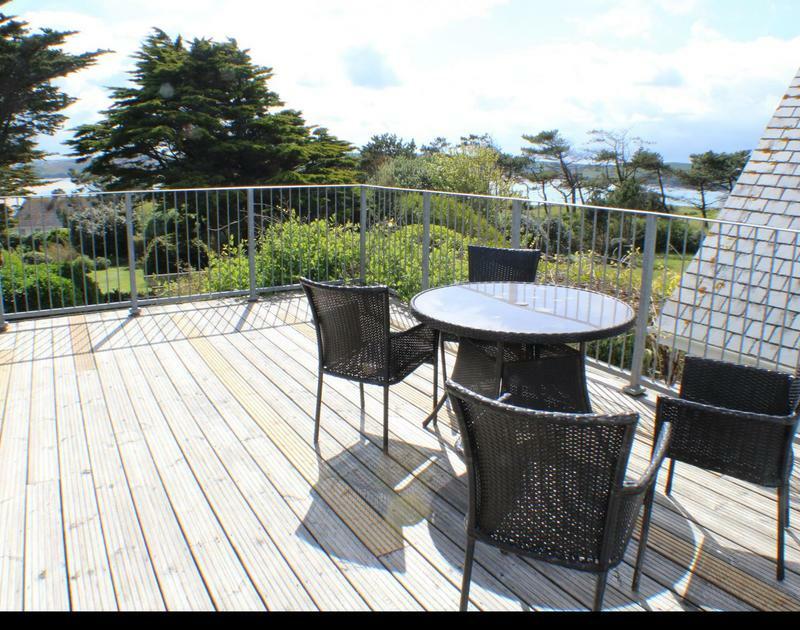 We have had such an amazing holiday and loved the house, particularly the outside space. We had a lovely week, despite the weather. 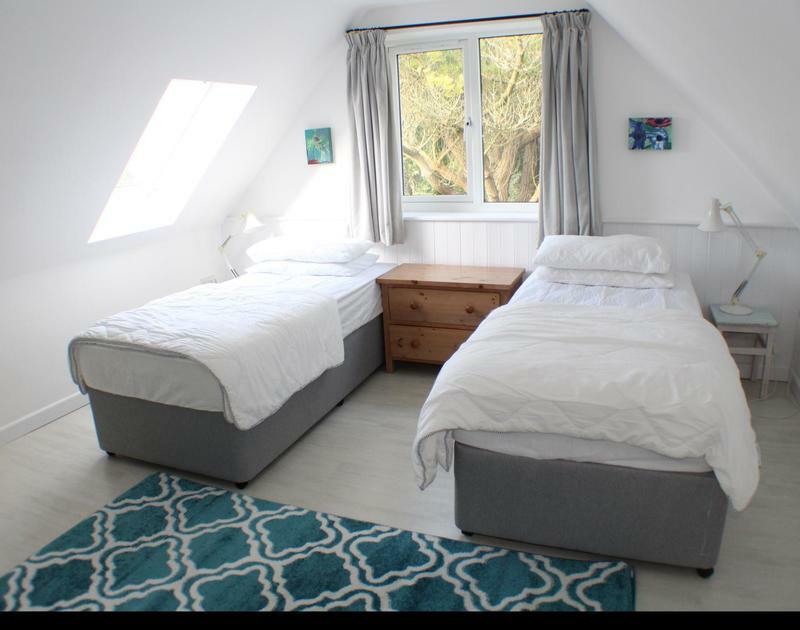 We were thrilled with the house and would like to book for Easter 2017. Sign up below to receive offers and news via e-mail. We hate spam as much as anyone so will never send anything other than great special offers, news and events around Cornwall.